These Linear Side springs are designed to maximize corner speed and minimize lift and traction rolling. With modern, lightweight design pan cars, softer springs are needed to fine tune the cars to suit high bite conditions. 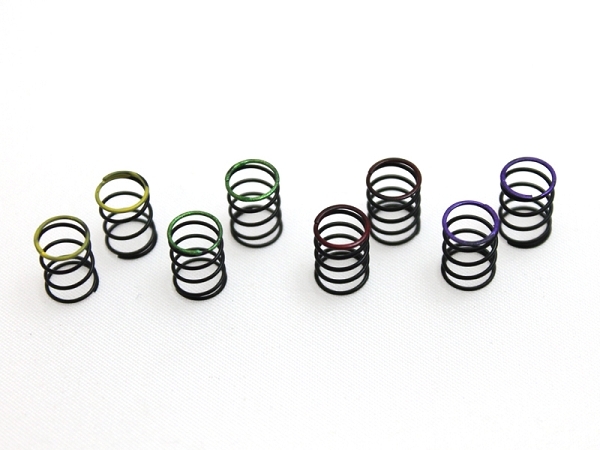 This set of 4 springs spans only 2 lbs of force for the whole set, really allowing you to get to an ideal rate to suit your specific track conditions and driving style.